Hotel El Fuerte in Marbella enjoys a privileged location as first line beach hotel, next to the charming historic centre of Marbella, with a great offer of shops and restaurants, history, leisure, sports, nightlife and luxury. Despite the sunny temperatures, Marbella isn’t a major winter destination, with the summer crowds decreasing by around 30%. 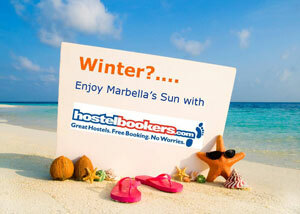 This is great news if you’re on a budget, as you can enjoy a ‘luxury’ resort like Marbella for less in low season.